She won four out of the six contests Tuesday night. The Democratic race is finally over. On Monday night, the Associated Press declared Hillary Clinton the presumptive Democratic presidential nominee after interviewing superdelegates and finding enough support for the former secretary of state to give her a majority of delegates at next month’s party convention. Although it appears that Clinton has already locked up the nomination, voters in six states—most notably California and New Jersey—go to the polls today to express their support for her or Bernie Sanders. (Five of those states are also holding Republican contests, but with Donald Trump running unopposed, don’t expect any surprises.) Clinton has downplayed the importance of the AP’s declaration of victory, for fear of depressing turnout among her supporters and handing Sanders a California victory that could allow him to claim momentum even with the math against him. In Brooklyn, where her campaign is headquartered, Clinton will give a speech tonight that’s likely to serve as a capstone to her primary campaign. The DC bureau of Mother Jones would like to remind our readers kindly that tonight doesn’t mark the end of the primaries, with Democrats in the nation’s capital scheduled to vote next Tuesday. But for all practical purposes, the long primary season concludes here and now. While the final result of the overall nomination is no longer in question, the final election results could determine whether Sanders concedes or keeps putting up a fight through the Democratic convention in Philadelphia. We’ll provide updates once results begin rolling in, starting when polls close in New Jersey at 8 p.m. ET. UPDATE 11, June 8, 7:08 a.m. ET: Clinton has won the California Democratic primary, according to the Associated Press. UPDATE 10, June 8, 2:20 a.m. ET: Sanders is the projected winner of the Democratic Primary in Montana, according to the Associated Press. UPDATE 9, June 8, 1:40 a.m. ET: Nearly 26 percent of the precincts have been reported in California. Clinton leads 62 percent to Sanders’ 37, according to the California state secretary of state’s website. UPDATE 8, June 8, 12:05 a.m. 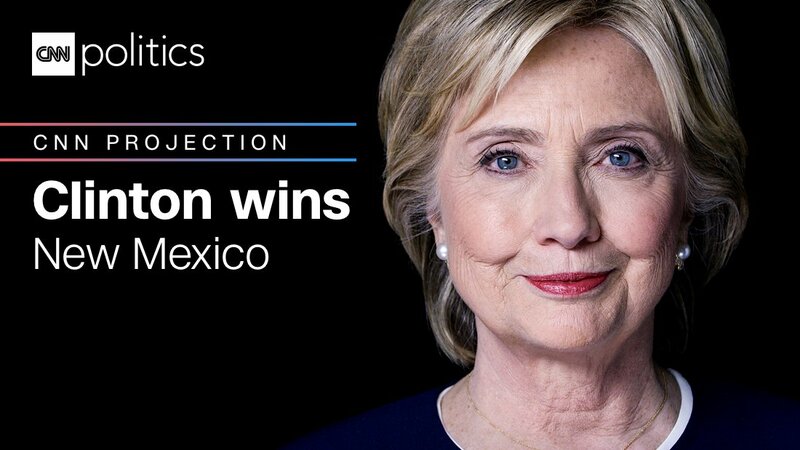 ET: Clinton is the projected winner of the Democratic Primary in New Mexico, according to the Associated Press and CNN. UPDATE 7, June 7, 11:40 p.m. ET: Clinton ?is? leading in South Dakota by just 3 points, with results from 94 percent of precincts reported, according to the New York Times. UPDATE 6, June 7, 10:23 p.m. ET: Sanders has won in North Dakota, according to the Associated Press and Fox News. UPDATE 5, June 7, 9:40 p.m. ET: Sanders is projected to win the North Dakota caucuses. UPDATE 4, June 7, 9:06 p.m. ET: Donald Trump is giving a press conference at the Trump National Gulf Club in Briarcliff Manor, New York. UPDATE 3, June 7, 9:03 p.m. ET: CNN is projecting that Clinton has won the New Jersey primary. UPDATE 2, June 7, 8:35 p.m. ET: Trump—shocker!—has been declared the winner of the New Jersey GOP primary. It’s still too early to call on the Democratic side. UPDATE 1, June 7, 8 p.m. ET: The polls have closed in New Jersey. The race is too early to call, according to the networks.